Firstly, a Christian admits their sinfulness in rejecting God’s right, as their Creator, to rule their lives; to set their agenda according to his standards. It doesn’t matter whether you’ve actively rejected him, or passively ignored God. The result is the same. You can ruin a marriage relationship by active rejection, e.g. by abuse, whether physical or verbal. But you can ruin it just as effectively, by ignoring your wife, by never talking to her, never thanking her, never considering her desires, except perhaps on the rare occasions you really want something back from her. Too many people treat God like this. We all need to be honest and own up to this with God. After all, he knows anyway. Here the Bible means ‘believe’ in the sense of ‘trust’ or ‘dependence’, not just a ‘head’ knowledge of facts. Everyone believes they know who the Prime Minister is, but not everyone believes in the Prime Minister. They may not trust his or her policies, their party or giving him or her their vote. Finally, a Christian commits themselves to following Jesus as Lord of their life, for the rest of their days. To put it into modern terms, it’s a commitment to letting Jesus be the Captain Coach. That is, the one who gives you your game plan, who sets the direction, and calls the shots in your life. It’s making Jesus the boss! That means you have to make a decision to become a Christian, to commit your life to Christ (if you haven’t already). It’s a bit like marriage… You can approve of the ideal of marriage; you can have friends who are married; you might even have gone to church to see people get married; maybe you’ve even been the best man. But none of that makes you married. You actually have to make the commitment yourself. In the case of marriage, you have to say ‘I will’ and make the vows. And you can’t be half married – If someone asked me I if I was married and I said, “Well I guess so, maybe half and half,” my wife would deck me! And rightly so! It’s the same with being a Christian. You can approve of God and Jesus and Christianity; you can have friends or family members who are Christians; you can go to church. But none of that makes you a Christian. Instead, you need to make a commitment. For there is no middle ground. I admit I have ignored you, and disobeyed your standards of right and wrong. I now believe that your Son, Jesus, died on the cross for my forgiveness, and rose again to bring me eternal life. From this day forward, I commit to following Jesus as my Lord and Saviour. Thanks you for all you have done for me. Please change me and help me to live in a way that honours you. I pray this, in Jesus’ name. So if you prayed a prayer like that, let me reassure you, God heard your prayer, and you are forgiven. You have become a Christian. If you have decided to become a Christian, can I urge you to contact someone at a local church. Christianity is not a solo activity. A good local church will give you lots of help and encouragement in growing as a Christian and in understanding the Bible. – does their best to love one another, and to reach out to others. Of course, going to church does not make you a Christian. A honey bee without its hive doesn’t stop being a bee. But the bee won’t survive very long in a healthy or productive way without its hive. In the same way, it is hard to stay healthy (spiritually speaking) as a Christian without going to and participating at a good church regularly. If you live near Kurrajong, in the Hawkesbury region of Sydney, NSW, Australia, then please visit our church. If you’d like to contact someone about what you’ve read here, please send a message through our contact page. 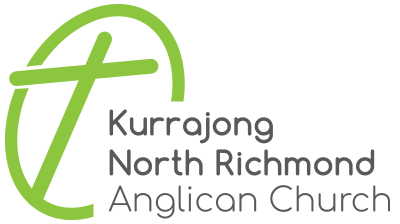 If you need more information on what Christians believe, or if you have some questions you’d like answered, then we suggest the website Christianity.net.au.